Red wine cranberry sauces is my new favorite! I make my own cranberry sauce and I have moved through a bunch of recipes. 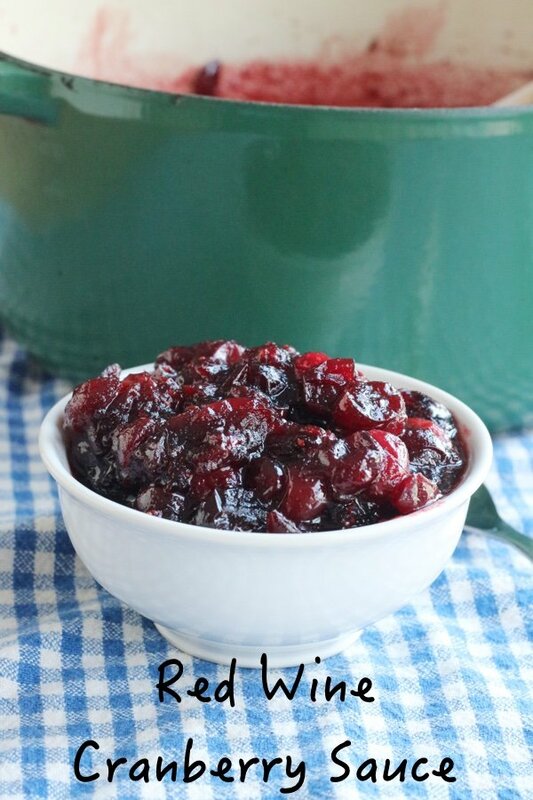 My easy cranberry sauce is almost the same as this red wine cranberry sauce recipe. The big difference is the addition of wine (duh) which gives this added flavor that is sophisticated and deep. I can’t get enough of this and I feel like it would complement many more dishes than turkey. My other favorite cranberry dish is cranberry horseradish relish. This post is old and you are not allowed to laugh at my photography. 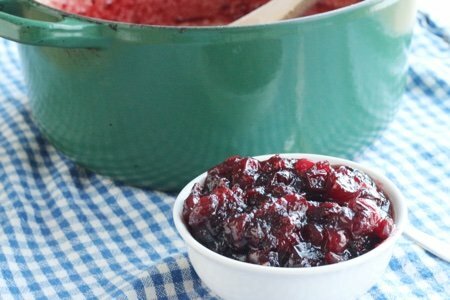 You don’t have to cook cranberry horseradish relish! If you like the spiciness of horseradish and the sourness of cranberries – this is for you. I used a red wine that I had open in my fridge. 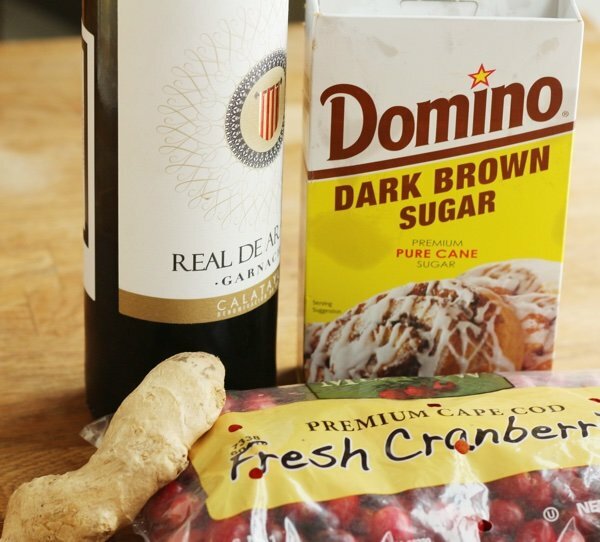 Be sure not to use a sweet wine since the whole point of this is to add the sour punch of the wine in addition to the sour punch of the cranberries. Don’t ask me why that works! I added some ginger as well but if you don’t have it – no worries. I don’t think it is critical to the recipe. This is so fast and easy that I don’t quite know why we don’t make it all the time. I live in Massachusetts, the home of the cranberry bog so I am a fan. Once when I was out on Cape Cod during cranberry harvest, I bought 4 pounds of fresh cranberries from a farm. They didn’t taste any different than the packages at the grocery store EXCEPT that they stayed fresh for a very long time. I don’t drive out to Cape Cod whenever I want cranberries because it is far but I would if I could! 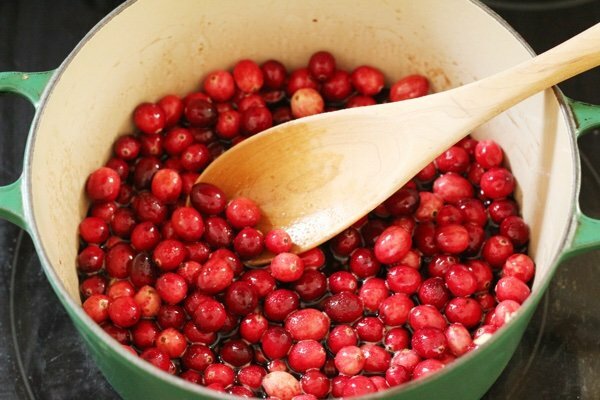 This cranberry sauce can be frozen and will stay fresh in your refrigerator for about 5 days. It is like jam and you could can it for friends or family and give it as a gift. If you do that, can you send some to me? Have you made red wine cranberry sauce? What do you think? In a small saucepan over medium heat combine the cranberries, brown sugar, ¼ cup water, red wine, and ginger. Simmer for 15 minutes or until all the cranberries have popped and the mixture thickens. Refrigerate and serve cold. Can be made and stored multiple days ahead. i always make my own cran sauce it's so easy but who eats one tablespoon? LOL!!!!!! i could eat the whole bowl i've never tried brown sugar just white. maybe i'll give that a try. or maybe coconut sugar. Nice idea using wine! Will try with 1/2 cup coconut sugar as I like mine tart. I'll add wine next year, maybe instead of orange juice. My current recipe is an adaptation of one I read on your site. For each bag of berries (12 oz) I add 1/3 c white sugar, zest and juice of 1 orange and 1/2 c unsweetened applesauce. I typically do three bags at a time (using 3-4 oranges). It's pretty tart, friends love it. It keeps forever in the fridge, but I also put in freezer jars and have cranberry spread all year long for yogurt, cottage cheese, poultry and sandwiches. Thanks for the wine idea! I never thought to use wine. What a great idea. I have some Christmas Glogg (spiced wine) that would be great for this. We are diabetic so I use a sugar sub. when I make mine. I also add a chopped up orange and pecans in half of the batch. Unless you use some sugar though, I found it is no use to add pectin because it really doesn't do much. So, I just cook it down a bit. I could eat it by the spoonfuls. If I used Truvia Brown Sugar Blend, would this then be 0SP? I LOVE cranberry sauce, but now that WW took points away from us, I cringe thinking 1T would use 2Sp. Thank you and Merry Christmas. I'll add wine next year, maybe instead of orange juice. It's pretty tart, friends love it. It keeps forever in the fridge, but I also put in freezer jars and have cranberry spread all year long for yogurt, cottage cheese, poultry and sandwiches. Feels good after reading such a nice articles. Great recipe. I suggest using Truvia Brown "Sugar". It is low calorie and tastes great. I use it in my coffee and some baked goods. I also add an orange or two diced up in the cranberry sauce. Since we are in Texas, I use toasted pecans because we are loaded with them. I love the idea of ginger which I did not use last year. Thanks.